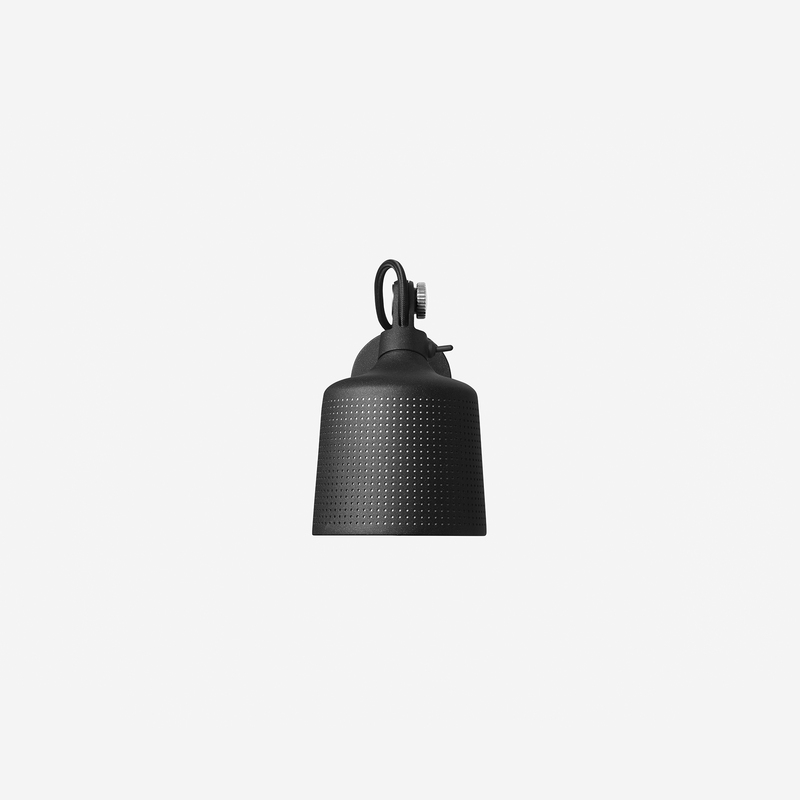 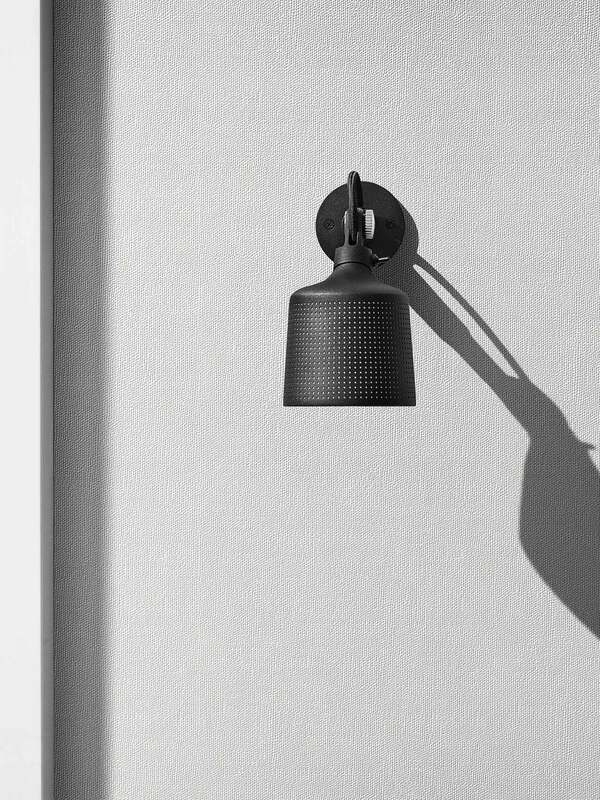 This small-sized Vipp wall lamp is a versatile wall light for the hallway, kitchen, bedroom or living room. 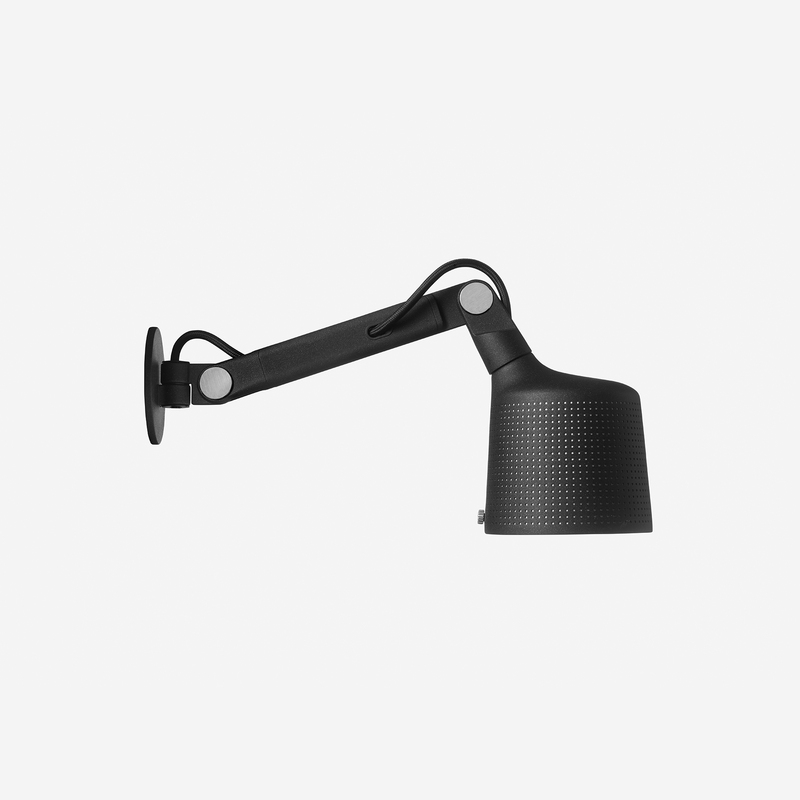 It is equipped with an adjustable arm for multifunctional usage and fits right by the sofa and bedside or placed above mirrors. 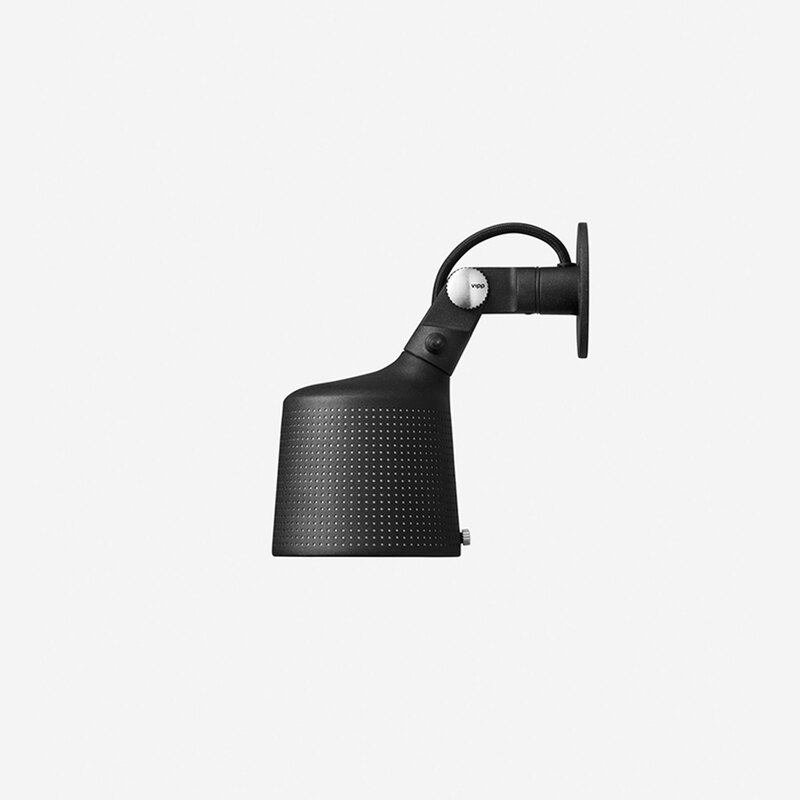 Scroll to the bottom of this page to check if your installation requires a wall mount adapter. 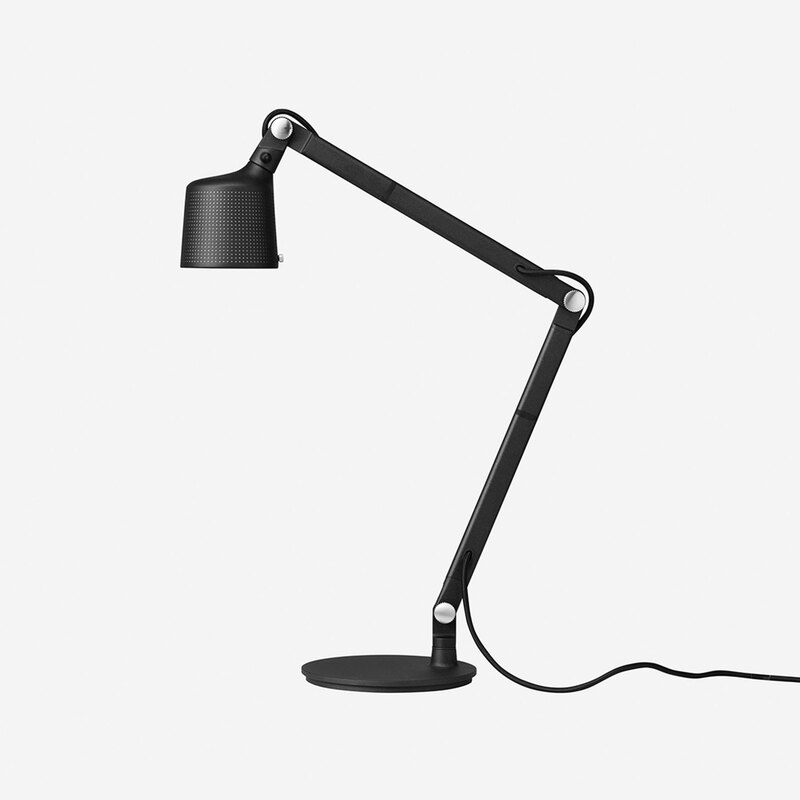 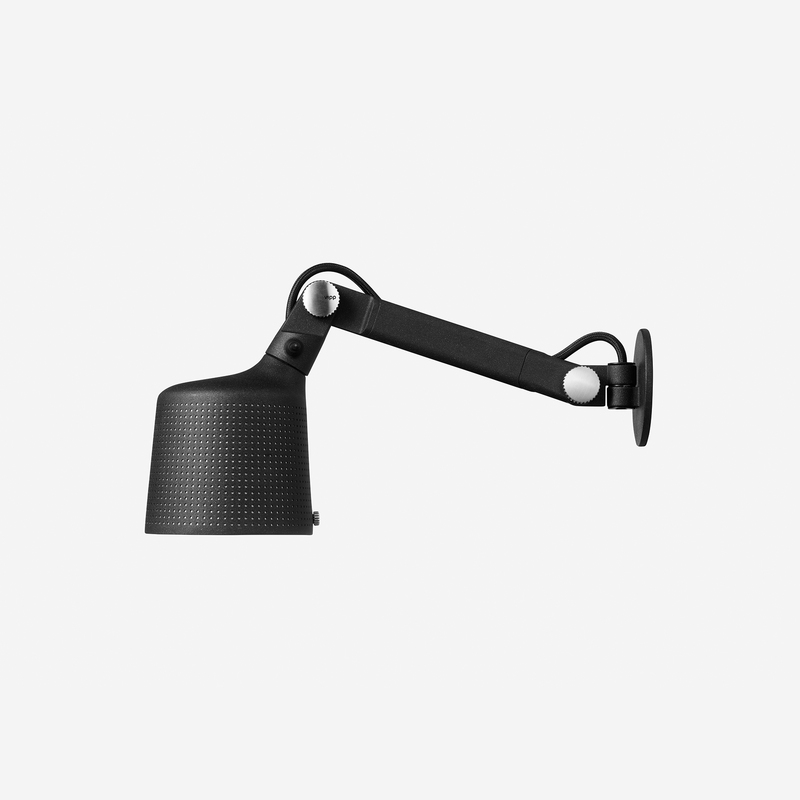 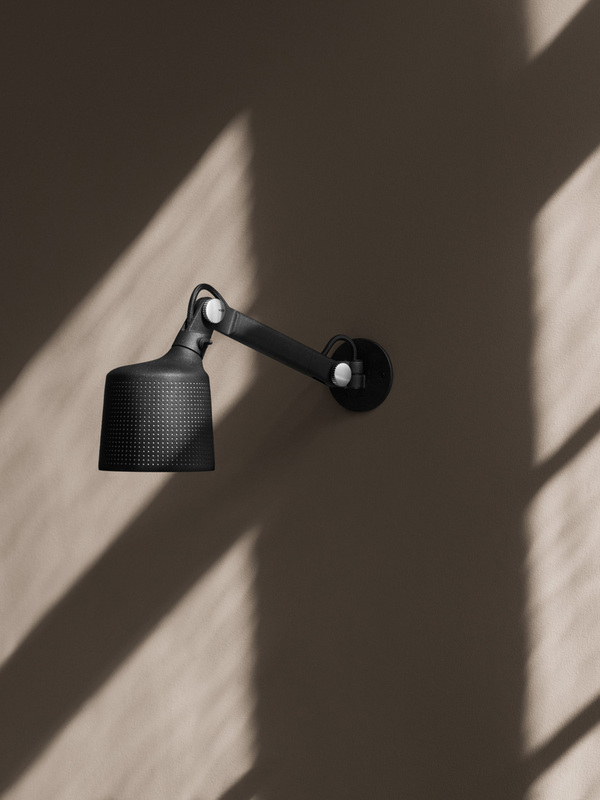 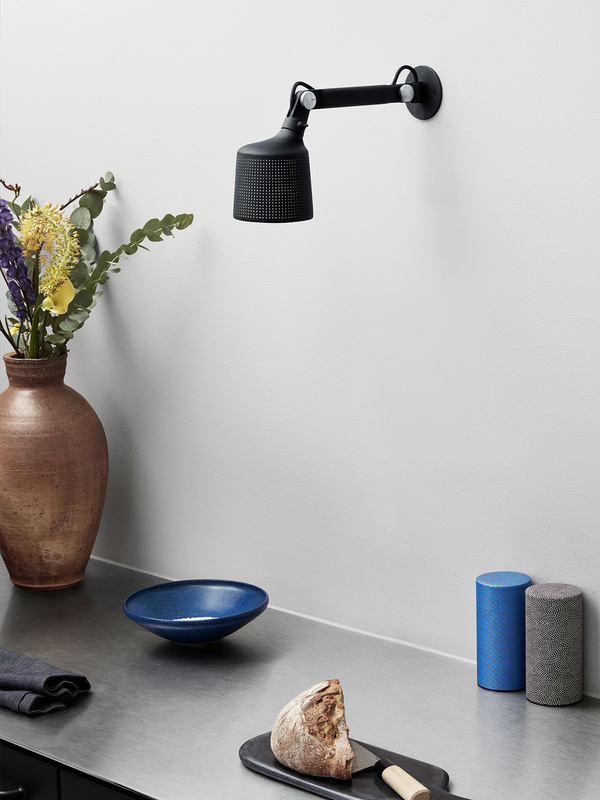 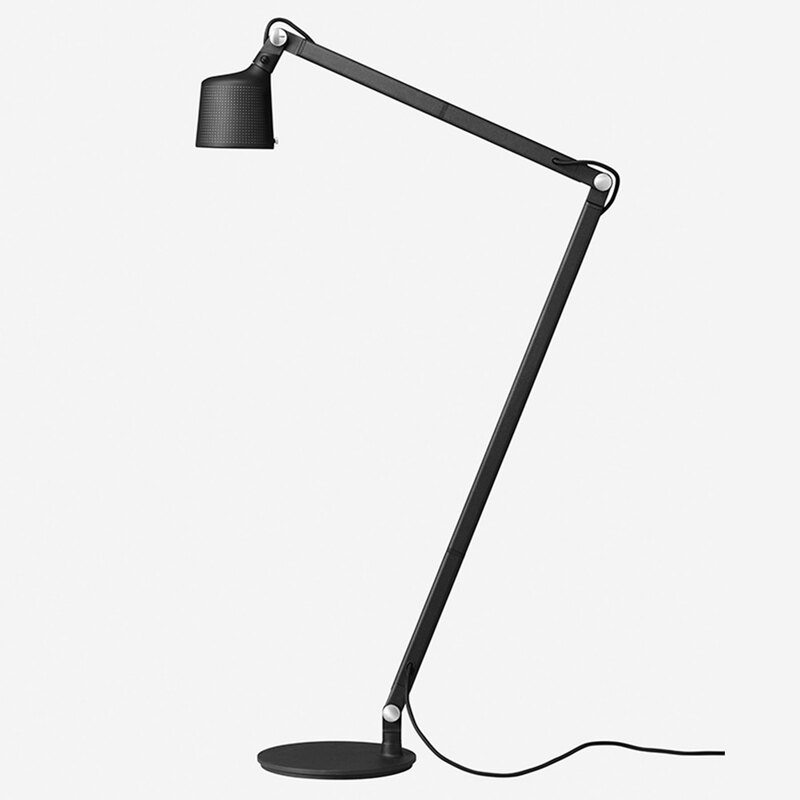 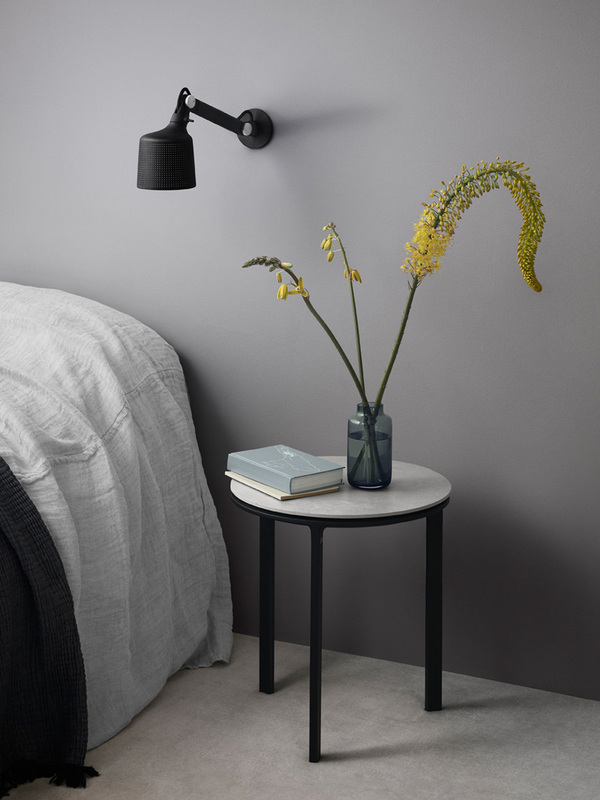 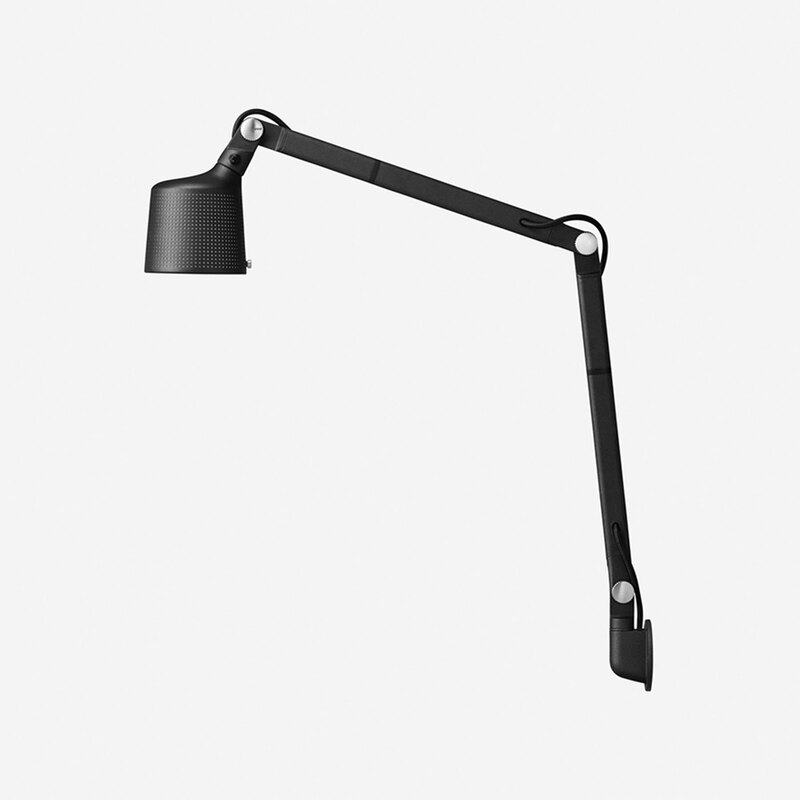 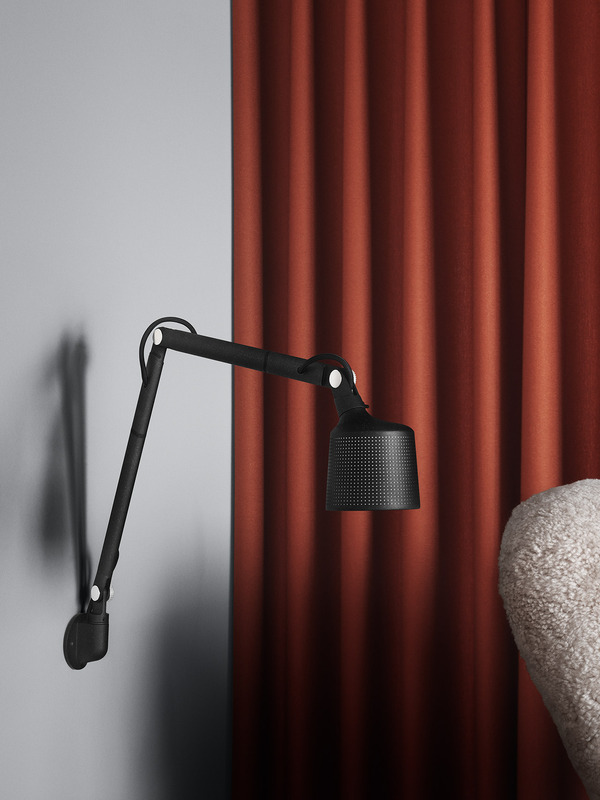 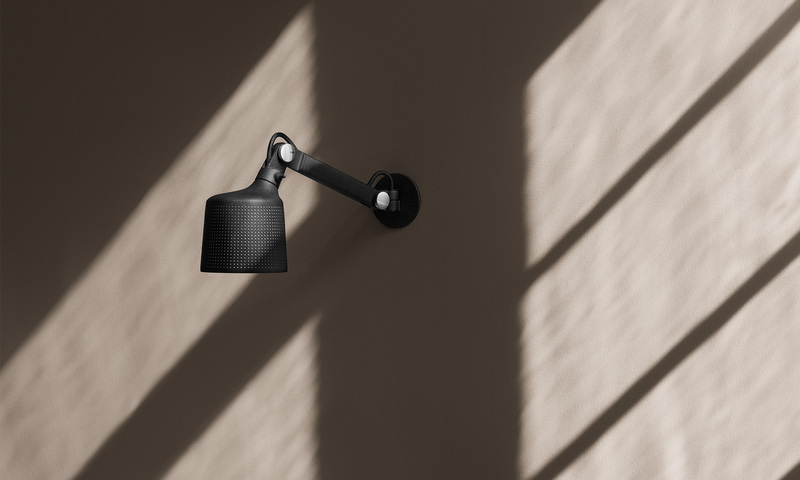 Grown from the original wall lamp, the shorter flexible arm of the small-sized wall lamp moves both vertically and horizontally, offering optimal functionality while demanding minimal space. 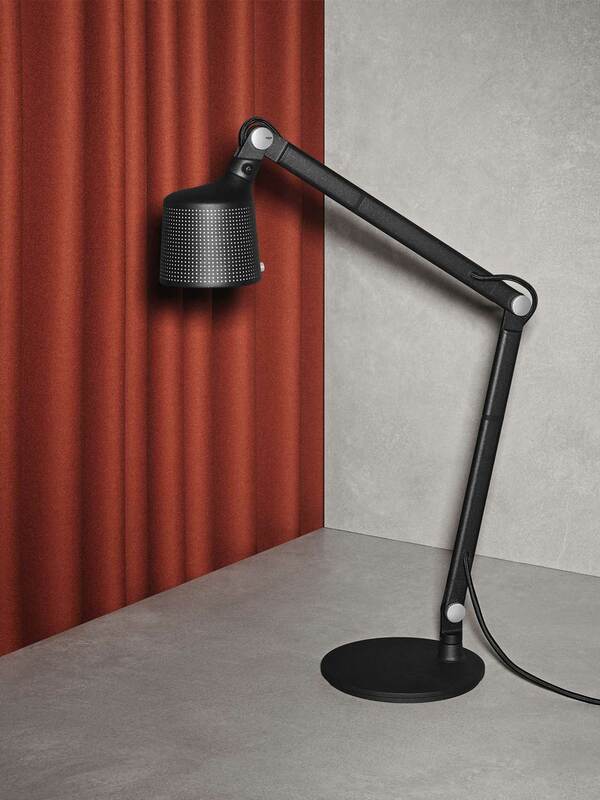 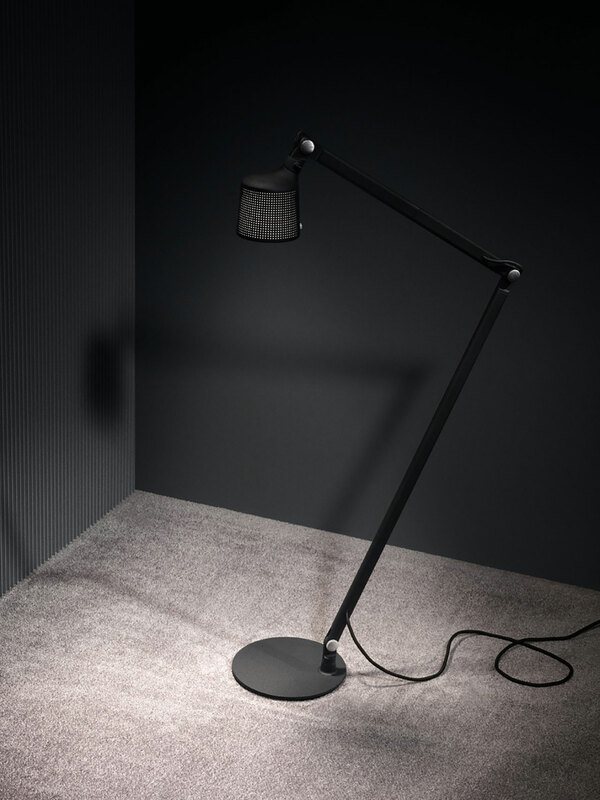 Matte glass accompanies the perforated lamp shade, and with its movable arm and pivoting head, it is possible to point the softly diffused light in almost any desired direction.